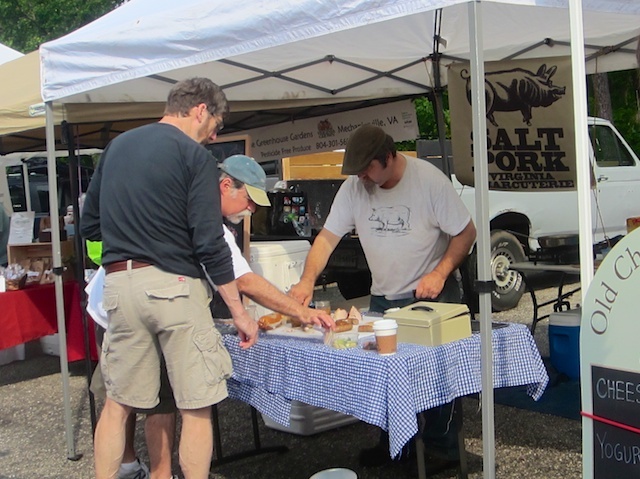 Carnivores, you’re in luck this week – this week’s featured vendor is all about the meat. Richmond has a magical gift, a collection of sausage sorcerers that goes by the name of Sausage Craft. 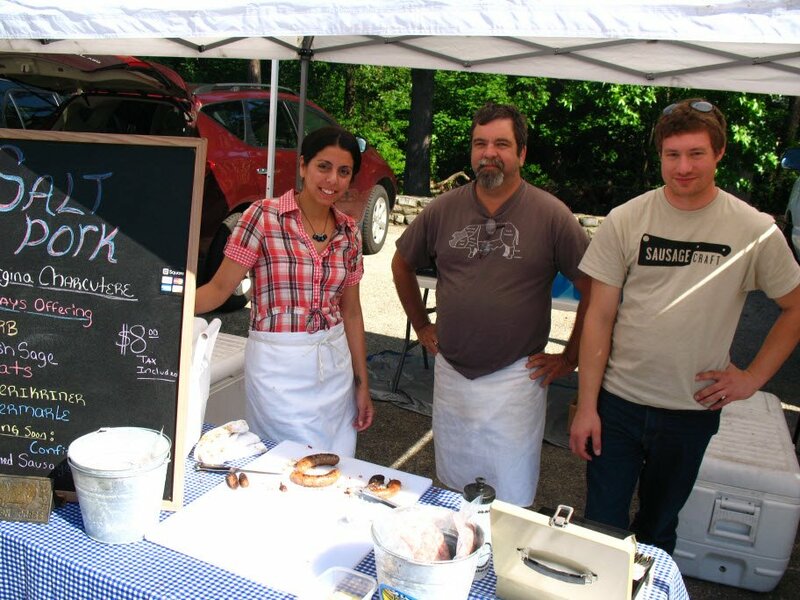 Sausage Craft uses old-world methods to create sausages and meats for Virginia restaurants, caterers and retailers. That means they don’t sell direct-to-consumer, so if you’re not a ‘restaurant, caterer, or retailer,’ boo hoo for you. Salt Pork brings Sausage Craft’s bounty and a few of classically-trained, battle-hardened chef Bill Foster’s own charcuterie items, including terrines, spreads, and small-batch pickles, straight to the sausage-lover at the South of the James market on Saturday and the Byrd House Market on Tuesday. Share, Like, or Comment on this post on the GrowRVA Facebook page, and you’ll be entered to win a free pack of chorizo at the South of the James Market. We’ll announce the winner at 8pm on Friday via Facebook. Salt Pork. We sell fresh and smoked artisan sausages as well as hams and bacon. Salt Pork has been in business for 2 years. I don’t know about you, but I find it surprising that 3 guys actually make a living selling sausage and ham! A typical market day starts at 6 am. We pack up, unload, set up, and start cooking samples. After everything is done, we get Blanchard’s coffee and Yoder’s doughnuts that we share with Catherine from Old Church Creamery. We do a milk toast then sell sausage until noon… every single Saturday. Rain or shine.